The Brand – for a bathroom très chic! Every single story has an inspiration and this one is about #woman power french way. Offering women hair that reflects the French women’s lifestyle – confident, modern, easy going. How to achieve that? So many marketing and no results! Products created massively but with no real concern on the effect for each hair type. Creating was the answer! 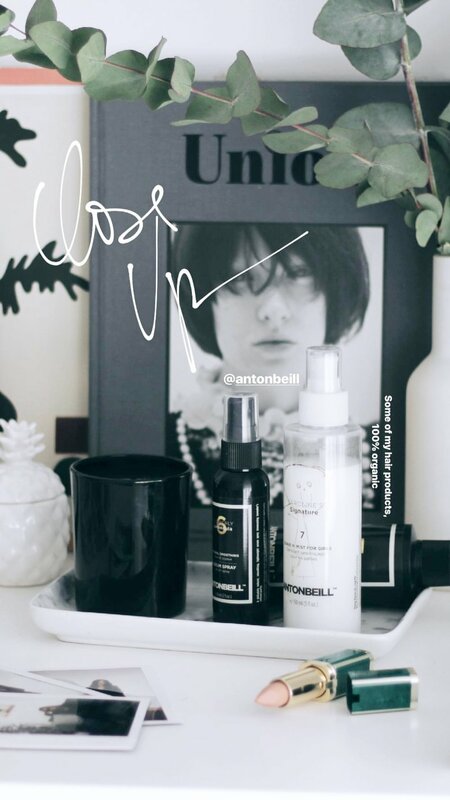 The Anton Beill Haircare was born from the dissatisfaction of trying to find high quality products in the market that matches the demands of the clients and Anton’s philosophy. A few years of intensive research resulted in an honest brand with trustworthily range of products, created with the most pure ingredients from nature, to do what they mean, and produced in small quantities, as all the good things. Natural products with formulas based on essential oils from exclusive plants and flowers, obtained by cold extraction, a respectful method that preserves all main proprieties of the elements. Formulas free of Parabens, Silicone and SLS. From shampoos to the leave-in products, every single product is created to intensively nourish the scalp and stand out the hair’s natural beauty. Care for your hair? Anton Beill provides you a high quality range of products, which nourishes, moisturizes, regenerates, protects and brings light to women’s hair. Intensive care for color and hair combined with a stimulating fragrance. Luxury at an accessible price and exquisite design packaging – for a bathroom très chic!